As I’m sure I mentioned somewhere along the way, Ryan and I decided to sign up for a half marathon this year, which is taking place on June 14th in Lake Placid, NY. This is the first half marathon for both of us, though Ryan did do a 50k once upon a time during his last deployment. Needless to say though, this requires training for the both of us, and that’s been quite the challenge with the baby, working and Ryan’s new work commitments. In April, I didn’t do nearly as well as I’d hoped. I’ve been hoping to do 5 runs a week, though I seem to have managed between 2 or 3 at best most weeks. Between being sick, our sitter quitting, finally becoming comfortable(ish) putting Spencer in care for a couple hours a day, I just didn’t find the time to get out there. 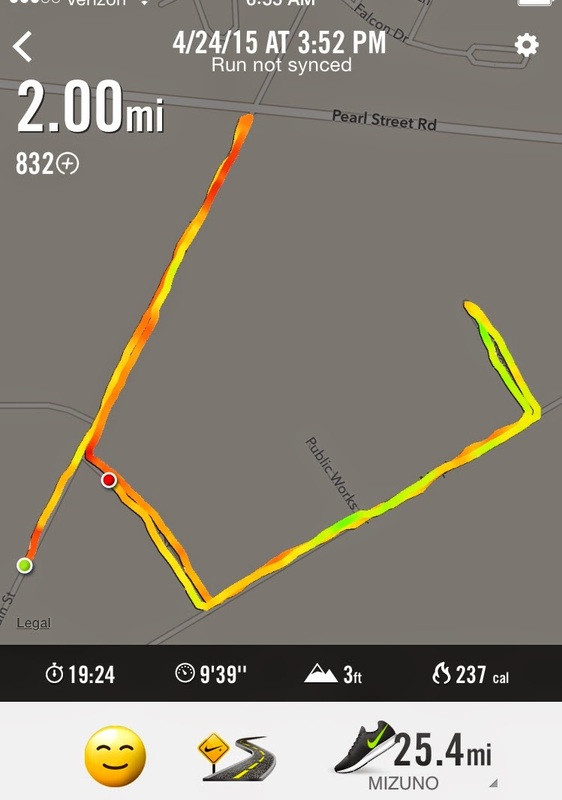 Plus, let’s be honest…pushing the jogger is hard! I’m sucking it up lately and just getting out there with the stroller, but my gosh…it’s tough. Between the jogger, itself, the car seat and Spencer, we’ve figured it weighs about 60 lbs. That’s a lot of resistance, and my running times show it. 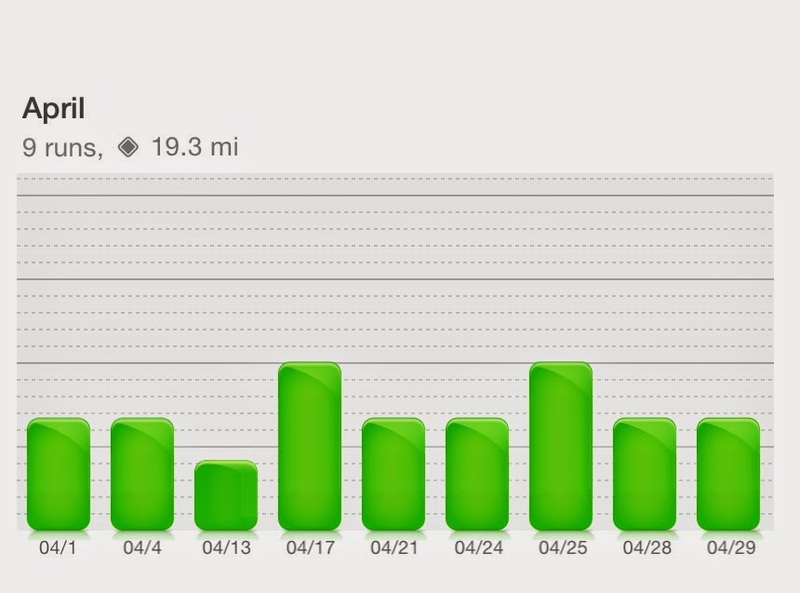 I think I only did one 3-miler with the jogger this past month, so I need to improve on that in May. All in all, April wasn’t my best running month, but it was a lot better than March, and I’m on the right track for May – already 10 miles under my belt so far. We have a new sitter starting today, so I’m hoping to get a good run in during my work hours (whoops) – hopefully a longer one – and really just looking forward to getting ready for June!